One of my most favorite authors is Max Lucado. Whether it is Child's Fiction or Adult Spiritual Growth Volumes, Max inspires. I really love this one and think you may need to hear this too. May this season instill in your heart, the peace of the Nativity. That in the deep darkness of a winter night, our Hope arrived to bring eternal life. Your world seems a bit darker this Christmas. But you were born in the dark, right? You came at night. The shepherds were night shift workers. 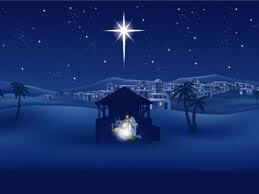 The Wise Men followed a star. Your first cries were heard in the shadows. To see your face, Mary and Joseph needed a candle flame. It was dark. Dark with Herod's jealousy. Dark with Roman oppression. Dark with poverty. Dark with violence. Merry Christmas my dear friends and a very peaceful New Year!